We had a great evening on Monday 19 November when Carolyn Sinclair came and gave a talk entitled 'Riding a Wave'. 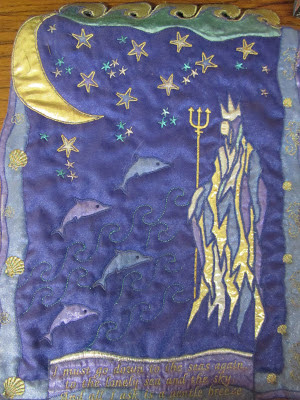 She bought samples of her work, including many inspired by her love of the sea. She is a keen sailor and has even embroidered when crossing the Atlantic in a 48 ft yacht! 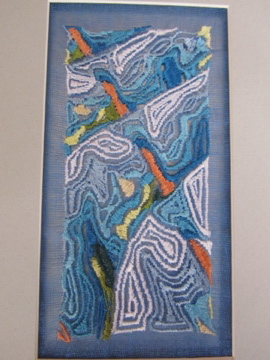 She uses embroidery software and computerised embroidery machines to produce much of her work. 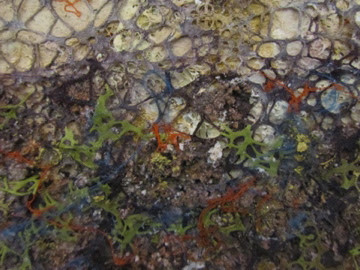 This embroidery was inspired by a harbour wall. 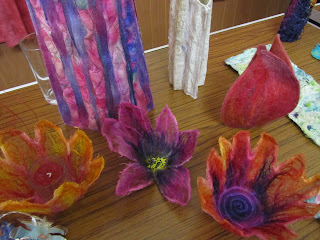 One of the pieces she brought was an embellished vessel made of pink silk fibres, that features in a book on embellishing, shown below in the top right of the picture. 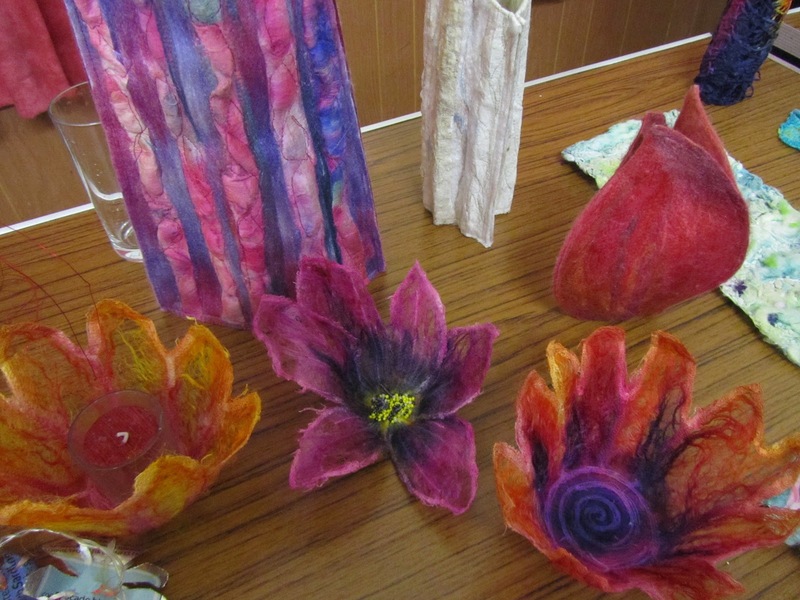 She likes to use bright colours and red, yellow, orange, blue, green and purple were much in evidence throughout her work. We all had a very enjoyable evening and would like to thank Carolyn very much for giving us such an entertaining talk.